How said Carl Spitzweg the German painter in his Poem Mountain and Valley? Amidst the waft of flowers. Being happy is an easy choice and it is most often forgotten how simple it is to feel happiness. Being surrounded by nature makes me happy, and so I make my way to the southeast of Bavaria, close to the border with Austria. And I find fresh air and silence. I don’t want to go on vacation and throw all my ideals overboard. Living green is what I do, and I am always on the lookout for hotels that care as much about our environment as I do. When I stay at a hotel, I love to hang my used towel back on the rack, so that it won’t get washed every day. It frustrates me to see that there are still too many hotels out there that stop at “towel-point” (OK, I made-up this word) and don’t care further for our environment. In the biosphere region Berchtesgadener Land I find what I am after. The Berghotel Rehlegg is not only green due to its magnificent surroundings. Since water and solar are used as renewable energy resources, it is also green from the inside. The thing is that it is a certified climate-neutral hotel but it is not one of these places where they resigned from comfort and style to achieve this. The biosphere region Berchtesgadener Land is the only alpine UNESCO Biosphere Reserve in Germany. The UNESCO program "Man and Biosphere" (another example is this area in Morocco) wants to preserve the unique and diverse landscape as a natural and cultural heritage, and together with the locals they want to create a model region for sustainability for the benefit of present and future generations. People in this area act socially, environmentally and economically responsible. Rehlegg supports these ideas and everybody involved is invited to develop ways to make life for guests, staff and the wider community better. Ever since 1917, when the family bought the former farmhouse, they had already visions of sustainable tourism in the mountains. They started out with letting rooms to travellers and serving local specialities. From then on they worked for the wellbeing of guests in this way. Looking at the interior design it clearly shows that someone had been tinkering with every detail and treated every space with special thought. With 87 rooms the hotel is of considerable size but intimate ambience is written all over the place. For the region traditional objects of everyday life, for which their previous owners couldn’t see any use anymore, were redesigned innovatively and found a new home here. And so it happens that several massive cowbells found their destiny in decorative lamps. Rehlegg is not a design hotel in the conventional sense, it offers homey luxury, and is a place of rest and slowing down. The fire cracks, the wood smells (heavenly), and the steps creak. The rooms are named after wildflowers and are furnished brightly but warm in modern Bavarian Alpine-style. There is a handmade sheep wool rug on the warm oak flooring. Again, it is one of these little and very special details that keep me as a guest as merry as spring. This place really makes you feel like that. If you want you could spend the day inside your room and listen to the radio or watch TV. Honestly, I would be outright silly to do this. I prefer to brew myself a cup of tea before dinner and sit on the terrace to watch the daily show (it is on 24/7). Sitting there, marvelling at the surroundings is best to be described as soothing. The foliage of the trees on the opposite mountains, covered by low hanging clouds, goes from red, to green, to orange. The background music in form of the faint sound of a nearby mountain stream couldn’t be any better. Many of my neighbours in the hotel brought their dog. As long as your best friend stays in your room while you eat, every dog is welcomed at Rehlegg. No, even if she/he is a cute little helper at home, cleaning the dishes is done by the kitchen crew. One of the restaurants is in a building from 1640. The choice of vegetarian options makes it hard to choose. I recommend you try the Chanterelles with Ramsauer Egg Noodles or the Mixed Pumpkin Dumplings. Products are locally sourced and made from ingredients that are in season. I cross fingers that the pumpkin parfait with pumpkin seed oil and berry compote is on the menu when you are there. Pumpkin seed oil is a speciality from neighbouring Austria, it is bright green when it is drizzled on the parfait and gives the dessert an extra nutty flavour. Meat as well as all dairy products (try all there is at breakfast time) come from nearby farms. All partners were chosen one by one by Hotel Rehlegg after they knew they share the same values and respect for our environment and all living creatures. From spring to summer and autumn you will find an amazing variety of hiking, the nearby “Koenigssee” lake is ideal for a ride in an electric powered boat and hiking too. Holidayers find unspoilt nature, alpine flora, mountain scenery, mountain streams, and waterfalls. Numerous hikes lead into the surrounding mountains, there is no need to jump into your car, and you simply start your hike directly at the hotel. If you want to exercise and swim, there are heated outdoor and indoor swimming pools and a fully equipped fitness room. Another way to get your heart pumping and to release stress is to use the sauna. 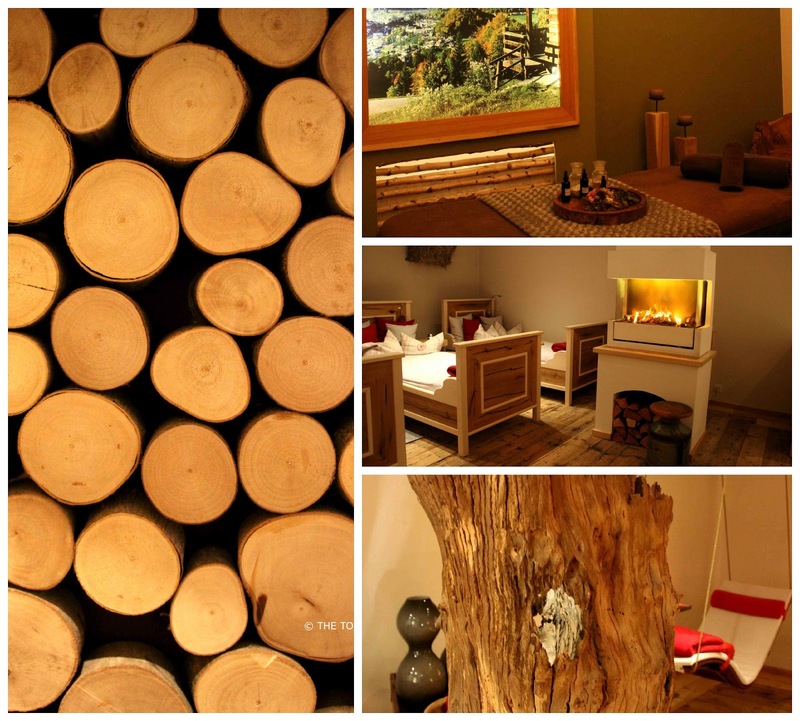 If you like you can choose to visit different types of saunas, the traditional Finnish sauna, the hot steam sauna, or an infrared sauna. In the Spa they use herbs and wildflowers, collected by the hands of the in-house herbalist on their very own alpine meadows that haven’t been touched by agriculture for decades. The herbalist is the one who creates tea for the Rehlegg too. Try the Relax tea, a herbal tea made from cut strawberry leaves, thyme, cut parsley, cloves, cut blackberry leaves, cut lime blossom, cut peppermint, marigold blossom, rose blossom leaves (plus imported orange slices and lemon grass). Holzengasse 16, 83486 Ramsau, Germany. From EUR 86 to EUR 226 per Person, incl. breakfast, afternoon cake, Bavarian gastronomic specialities buffet-dinner. Eco-conscious. Modern Alpine-Style. Homey luxury. It is traditionally stylish without being kitsch. Dog friendly. Romantic getaway, wellness, hiking, nature, foodie experience. Yes, there is a massive one in the comfy bar area. Yes, ask for the password at reception. Yes, there are two restaurants: buffet style and a la carte. 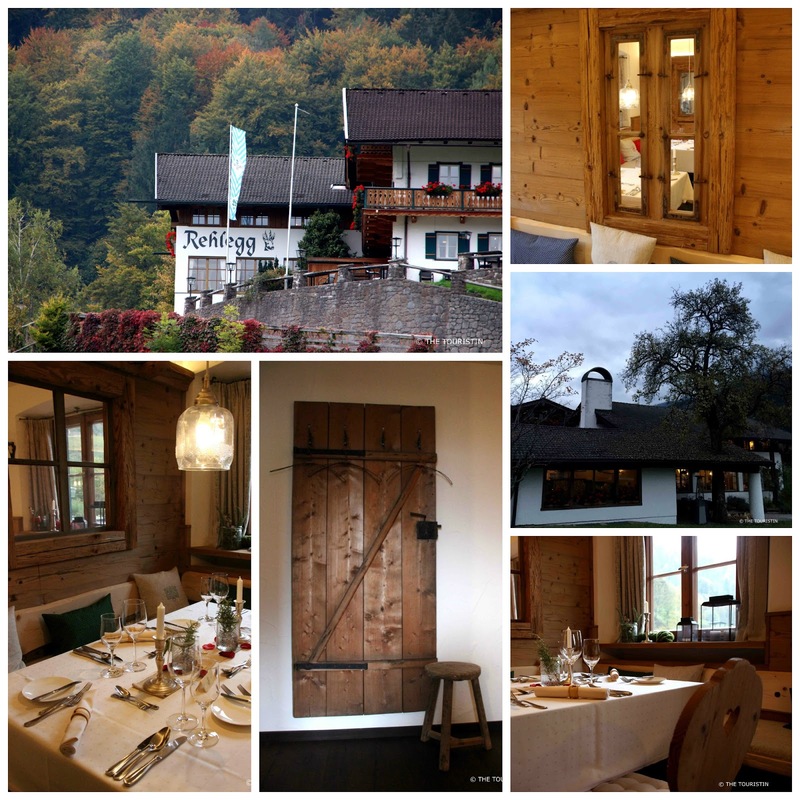 Hotel Rehlegg - Hot or Not? Would I stay at Berghotel Rehlegg again in the future? A clear yes. Would I recommend a stay to a friend? Of course. I also highly recommend their restaurant (for hotel as well as for non-hotel guests). Don't miss to visit their cute little store where you can buy all sorts of Alpine-style products like the adorable hottie (hot-water-bottle) on the left. I found the place together with Green Pearls Unique Places. They follow the concept of sustainable travel ideas, and offer a selection of eco-friendly hotels worldwide. Our stay was supported by Rehlegg. All memories and feelings expressed are my very own. What do you expect from an eco-friendly hotel? Can't wait to hear from you.